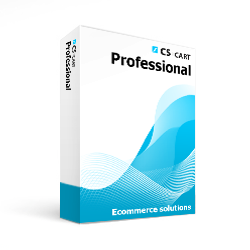 CS-Cart Professional is an ecommerce shopping cart solution for mid-size businesses at an affordable price that comes with plenty of advanced features to get the most out of your online store. 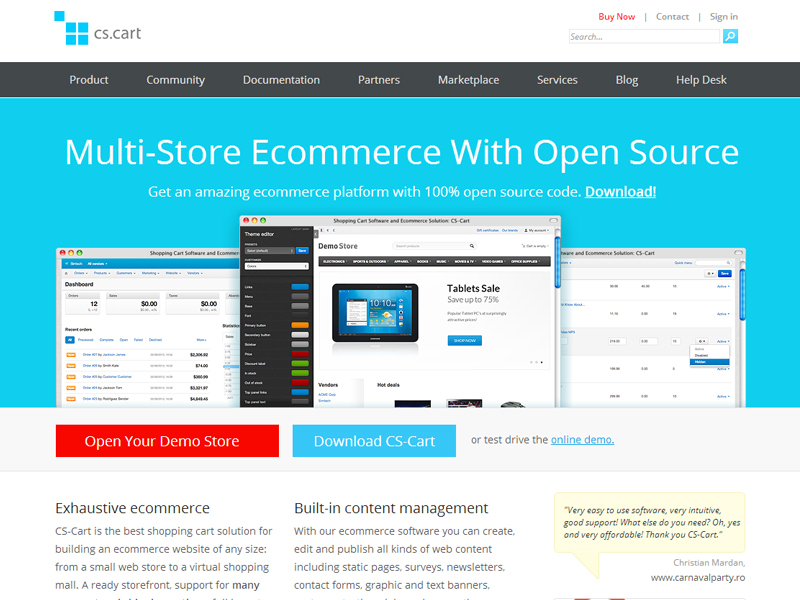 With CS-Cart Professional web shopping cart you can build a full-fledged online store. You will see how easy it is to add products to your store, manage inventory, handle return requests, target shoppers from different regions and countries, build a network of affiliates and many more! How much time is required until I receive my license number ? How can I download the software ? After we submit your info, you will receive several e-mails from CS-Cart.com and you will have to accept the terms and conditions. The e-mail you used to purchase the software will be used to create your own CS-Cart helpdesk account, and in this account you will have access to download links, and license number. I already have an official helpdesk account on CS-Cart.com, will you create a new one? If you already have a helpdesk account, please use that e-mail when you make the purchase. And the license number will be transfered to your existing account. If you use a different e-mail, then a new helpdesk account will be created for you. Do I receive support credits if I purchase the software from a reseller ? Yes, you will receive 20 support credits, which will be transfered to your account at the same time with the license number. Where can I find documentation ? What is the difference between Cs-Cart versions and which one is the correct for me ? CS-Cart Professional: One storefront and One admin panel on a single domain name. CS-Cart Multi-Vendor: an extended edition of CS-Cart that enables you to create an online marketplace where multiple vendors can manage sales of their own products through one common web store. Think about it like a Mall, where vendors can sell their products and the owner of the store receives commisions on each transaction from all vendors. Each vendor has its own admin panel, and all this happens on a single domain name. CS-Cart Ultimate: an advanced edition of CS-Cart that allows you to set up and manage multiple online stores via a single common administrator panel.